Hey guys! 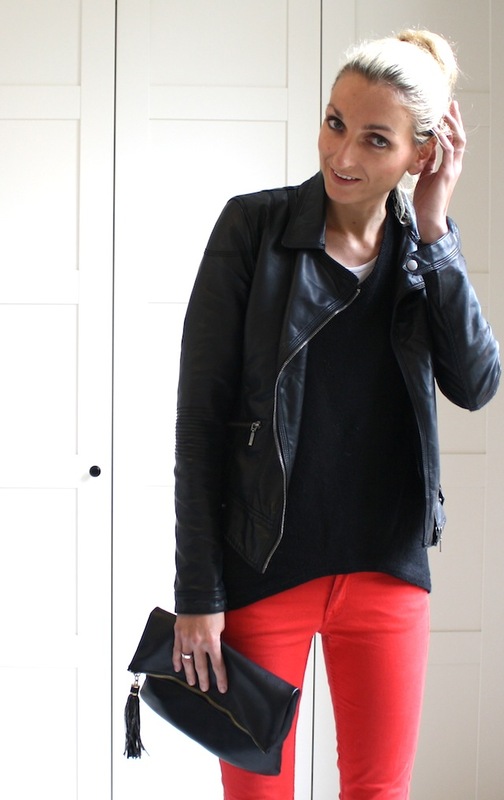 Today I am wearing red pants by H&M, a black sweater by Mango and my leather jacket by Zara. The clutch is from H&M and the wedges are from Zara. Most of my recent outfits seem to consist of pants, sweater/shirt and a jacket and although I do like simple outfits like this I am sooo ready for higher temperatures and being abled to wear skirts and dresses! Hope you like the look and happy weekend! 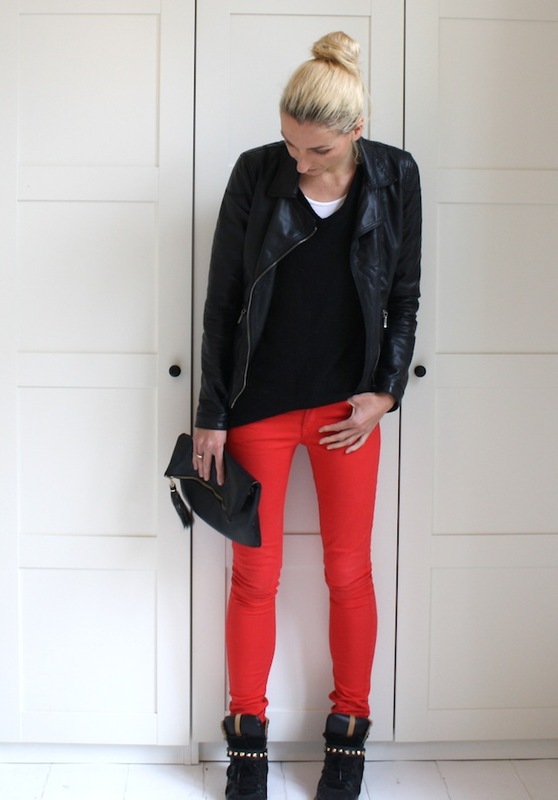 stoere outfit, i love it! 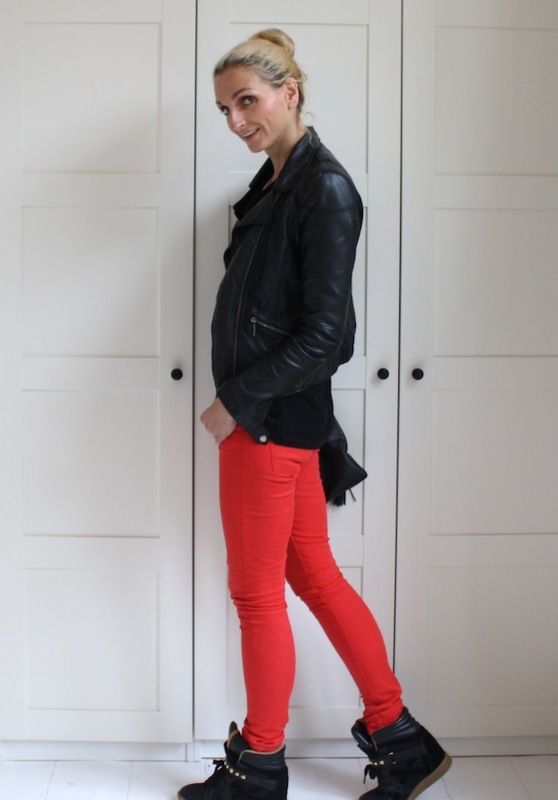 Ik ben mijn wintergarderobe ook zo zat! 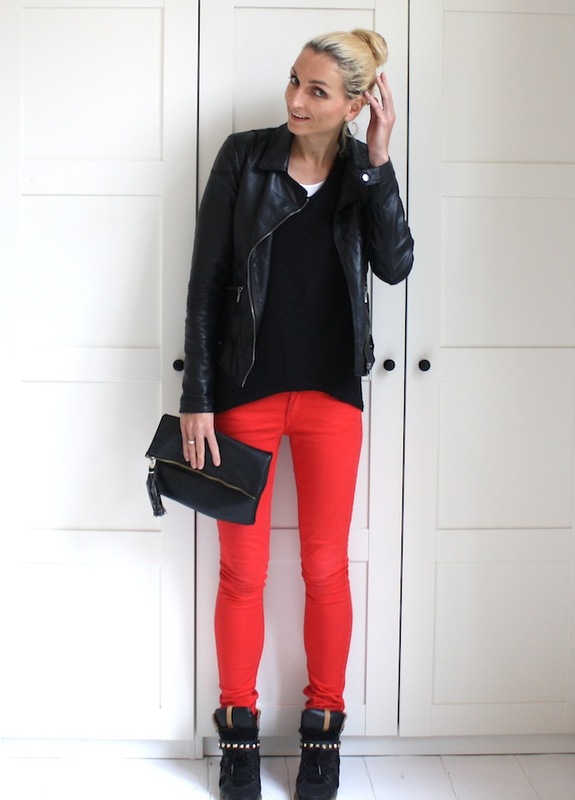 Toch weer een leuke outfit, hoor! Ik blijf fan van sneaker wedges :):).